What if I could show you a proven way to save money on your healthcare, would you be interested? Let me make it even better. What if in addition to saving money on healthcare you can also be healthier… have I got your attention yet? 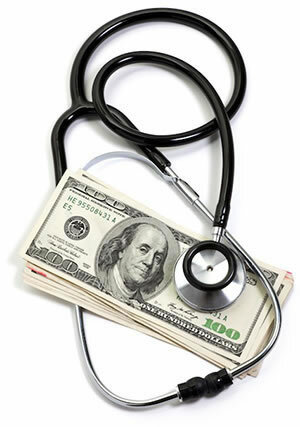 A Chicago study, based on seven years of data from Blue Cross/Blue Shield, conducted by Richard Sarnat MD, president of Alternative Medicine Integration (AMI), James Winterstein DC, and Jerrilyn Cambron DC PhD, concluded that when chiropractic care is integrated with medical and other complementary care the cost savings are significant, and patients had a higher satisfaction rate. One of the interesting elements of this study is the Illinois Blue Cross/Blue Shield HMO decided to add chiropractors as primary care providers. This means that patients were able to choose chiropractors instead of MDs to provide their primary care. In 60% of the cases, chiropractors were able to provide all the care the patient needed each year without the need of medical referral and co-management. When additional care was needed, chiropractors would then refer their patients to other medical specialists, and other complementary and alternative medicine providers including therapeutic massage and acupuncture. 93% of the specialists agreed with the chiropractor’s diagnoses when receiving referrals from the chiropractors. When you look at the results of the study, you can see that savings go deeper than just the cost of your healthcare. What this study shows is that when patients use a chiropractor as their primary care provider, they need fewer surgeries, fewer hospital visits, miss work less, and use a lot fewer medications. Also, patients report more satisfaction with their healthcare. Fewer hospital stays and surgeries means you end up missing fewer workdays. You also spend less time in rehab. That puts more money in your pocket. The Chicago case study is not the only study that has been done showing the financial benefits of chiropractic care, but it was unique in that the chiropractors were providing primary care as well. Chiropractic care was combined with medical care. Chiropractors provided in-house examinations, evaluations, and treatments at their discretion. They also focused dealing with standard health risk factors such as diet, exercise, posture problems, emotional/behavioral problems, as well as the diagnosis of physiological disease. They also worked with over 3,000 MDs in 18 hospitals, and registered nurses who specialized in the utilization of management coordinated care. The savings were considerable and bear repeating. Chiropractic care saved money on healthcare through reductions of 60.2% in hospital admissions, 59% in hospital days, 62% in outpatient surgeries and procedures, and a remarkable 85% decrease in pharmaceutical costs. This study shows that chiropractic care not only reduces your overall healthcare costs, but it provides excellent preventive care. This is because chiropractic care keeps your central nervous system in optimal working condition, allowing your body’s innate ability to heal itself. Gentle chiropractic adjustments remove subluxations, or misalignments, of your spine and restores normal nerve supply to your body’s organs and muscles. Your nerves are then able to accurately communicate with your brain, allowing your body to fight off disease and infection. Without this communication, your body is unable to take care of itself properly, your immune system will be compromised, and you will be very susceptible to diseases ranging from the common cold to various cancers and other diseases. You can save money and live a healthier life by integrating a chiropractor into your healthcare as your primary care provider. A chiropractor working in conjunction with a good network of specialists and other medical professionals will be able to refer you to a specialist if needed. The patients in the study were healthier and more satisfied with their healthcare due to chiropractic care.